The Dirty Dozen: 12 Pet Treats to Avoid | Scoop The Poop! If you were making your own dog treats, using the freshest and most wholesome, healthy ingredients, would you ever consider dumping sugar into the mix? Of course not. 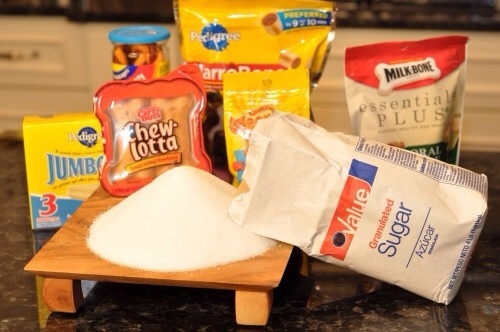 So why, then, do a number of the most popular dog treats on the market contain high amounts of sugar? Because dogs love it. ← Every Other Day Cat- Sits Are NOT An Option When Hiring Professional Pet Sitting Services.